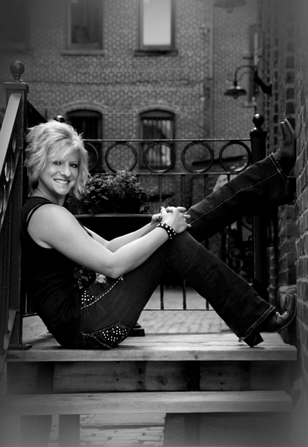 National Country Artist Jessica Hannan from North Central Ohio began her music career at the age of 12. Touring the state heavily from age 13 to 17 Hannan gained much notoriety. At 13 Hannan had a Record Deal with Sonic Records for 2 years. Now her band is best known for the energy they bring to the stage. They all love to perform and this band is Ohio's hottest Country/Rock band! 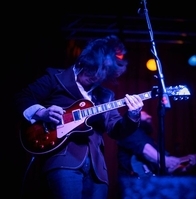 Jessica Hannan has received much media attention and has been called the top Country-Rock Band in Ohio. She also is spending much time in Nashville, Tn working her newly released EP "Drive" and working with her newly signed Record Label "Nashville Entertainment Weekly Records". This is huge news for the up and coming artist and it is opening many doors for the singer. This driven cutie originally from Jeromesville, Ohio, has set the bar high for her life. After the release of Drive this singer has been busy distributing her music to radio, record labels and music downloading sites. Her music is now available for fans to purchase on all music downloading sites and can be heard on many radio stations within the state. Jessica has also been pitching her material to record labels in Nashville in hopes of being signed by a Major Label or being placed on a tour with a headliner. This could lead to this small town girl making her big dreams come true. Here Again, One Of Those Days and It's Just Me. You can find her music on all social media sites including, Itunes, GooglePlay, Amazon, Spotify and more! You can also stream her live on iHeartRadio. Check out her tour dates to see when she will be in your town! David Haag of North Central Ohio has been drumming 35+ years. He has traveled around with various bands in his career, including Ohio Express. David is known for bringing that hard edge sound to every show! He now drums and is the husband of the Country singer. His diverse style is unlike any other country drummer. David has a heavy metal/rock style and adds every sound affect imaginable by incorporating electric drums. He is one of the only drummers in the state that incorporates this sounds into a live show! Come see this phenomenal musician in action. 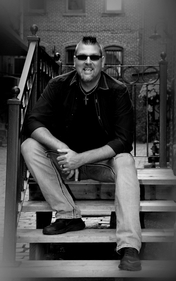 Tim Lillo has been playing in bands for over 30 years. He was born into a musical family and has carried on the musical legacy his family began. Tim hasn't always played bass, he actually started out on drums! 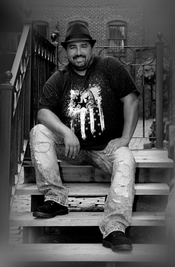 He has a diverse range of genres he has played over the years and he is one of the best bass players in North Central Ohio. In the band for over 2 years now, not only is he a phenomenal bass player, he's one of the nicest guys around! Come hear his talents and spot on bass runs! Guitarist/songwriter Trevor Matthews’s joined the United States Army as a bandsmen serving for 8 years with the 122nd Army Band. After Matthews joined the pop/rock group The Temper Twins as a guitar player and was signed to ARG/Universal Music Group in 2010. While a member of The Temper Twins Matthews had the pleasure to work with Universal Music Group and Capitol Records producer Calvin Gaines, known for his work with Lady Gaga and Beyoncé. During this time, Matthews also had the pleasure to work with legendary rock drummer Joe Vitale Sr. In 2009/2010, he earned his Master of Arts in music composition and his Master of Music in music performance from Kent State University where he served as graduate assistant to Professor Greg Banaszak (Centaur Records) and composition professor Dr. Frank Wiley. Recently, Matthews performed at The Loud Wire Music Festival in Grand Junction, CO, ranked by Rolling Stone magazine as one of the 50 must see festivals of 2015, with rock groups Weezer and Rob Zombie. Taylor grew up in a musical family, and began playing drums at the age of 3, learning from his dad. He grew up watching his dad and uncle's band, Odyssey, and by 6 his uncle was teaching him guitar. He eventually joined their band and began playing professionally at the age of 12. Around this time Taylor also began singing, playing piano, and bass guitar and played at least one song per show on each instrument with the band Montage, while sticking to mostly guitar. 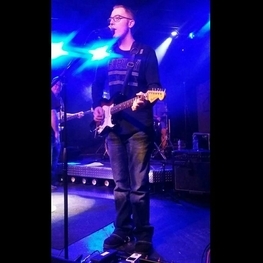 He began his own band at the beginning of his freshman year of high school, with school friends, Absolute Zero. Taylor is excited to be a part of the Jessica Hannan Band, and is excited about all of the great opportunities and shows that are to come. Taylor's background in guitar is in classic rock, blues, hard rock, and country. His influences include The Beatles, Jimi Hendrix, Brad Paisley, John Mayer, EVH, and most importantly his family of musicians.